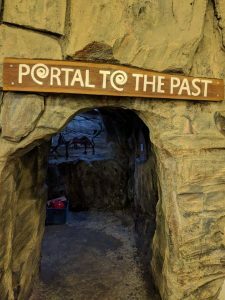 The Children’s Museum is home to the coolest cave in town! 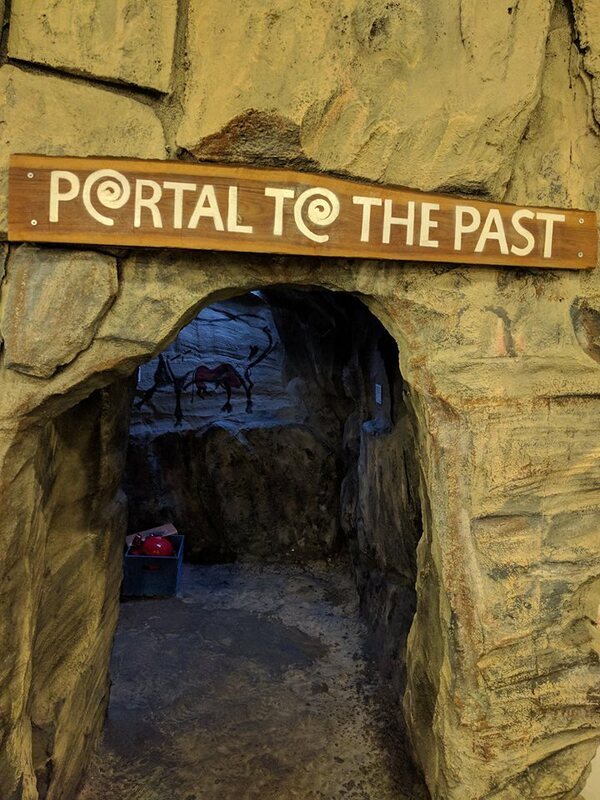 Grab a lantern and head into the cave to explore artifacts, pass the cave drawings, stop by the campfire and then find your way down the slide. 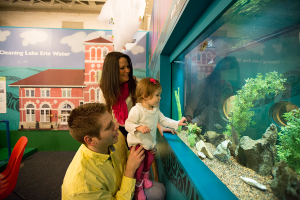 Over half a million children have enjoyed the water table exhibit, making it one of the most beloved exhibits. 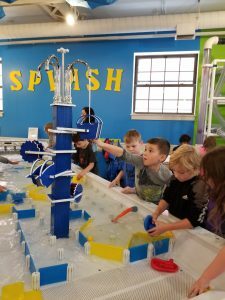 A contribution from Zurn Industries along with individual donations, allowed the Children’s Museum to add duck slides, a paddle wheel boat and four fountains triggered by heat sensitive buttons. Thank you to Carnegie Science Center of Pittsburgh for the design, construction and installation of the new water table enhancements. Puff! Whoosh! Whizz! 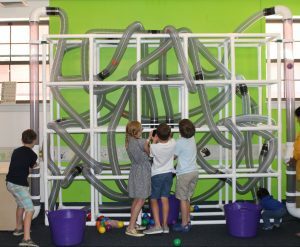 Marvel at the magic of air as it sends balls rocketing through a maze of tubes or causes scarfs to dance and play their way to the ground. 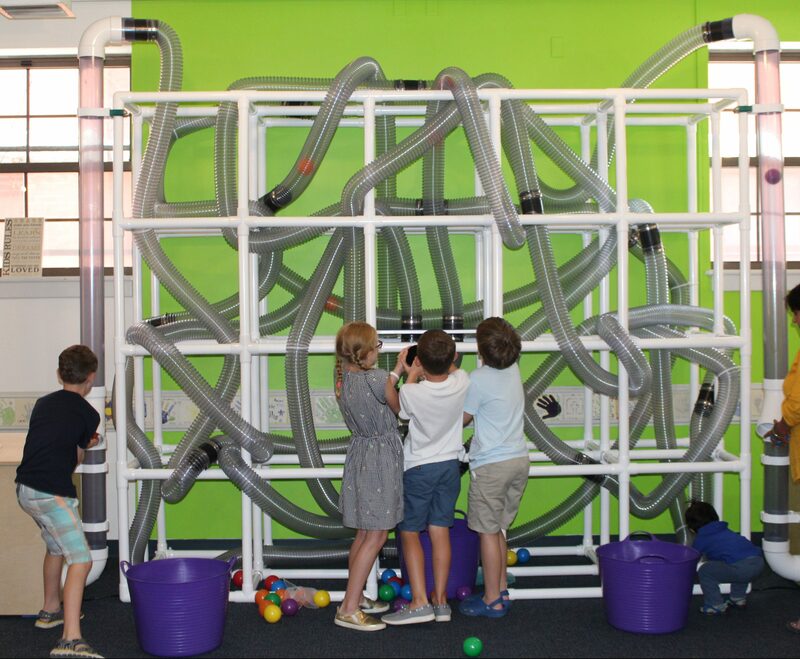 Kids of all ages are loving our latest Amazing Airwaves exhibit as they learn about air pressure and wind resistance. 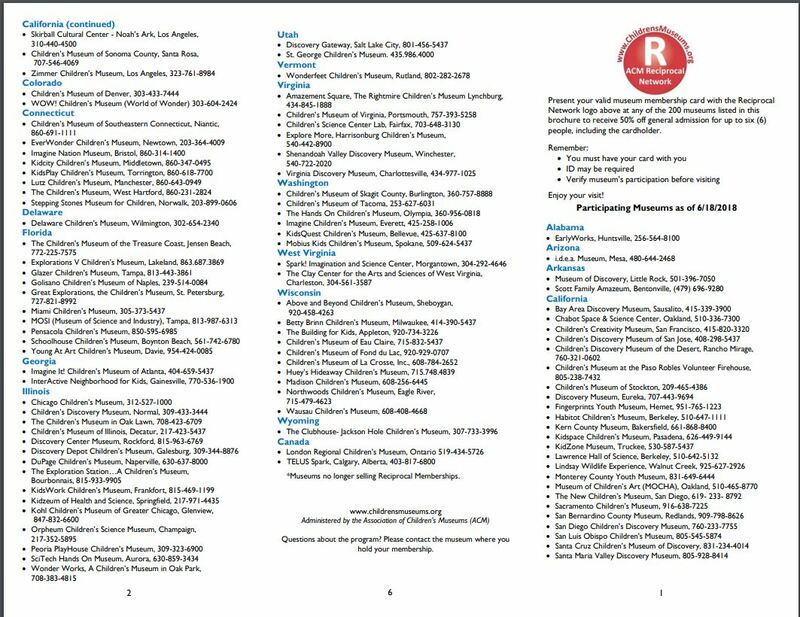 This exhibit was built by our friends at Carnegie Science Center and was funded by our 2017 fundraiser, 100 Women Making Waves. 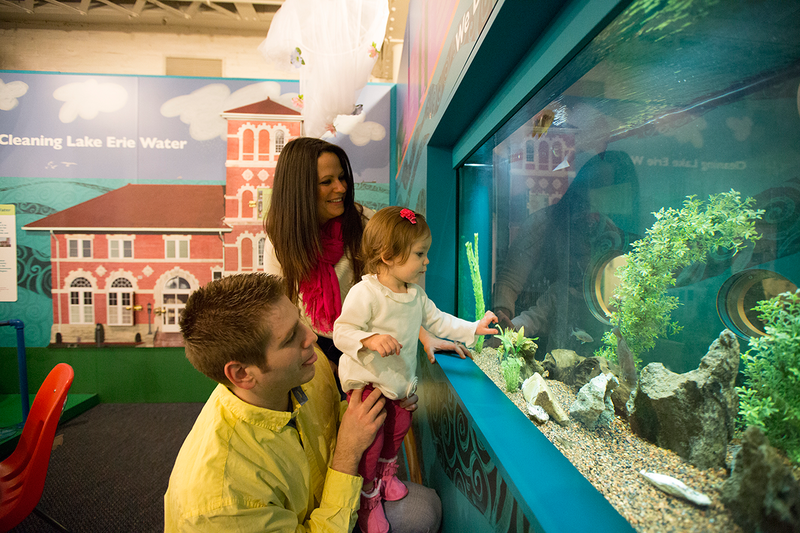 Visit with Lake Erie fish and learn about where our water comes from! 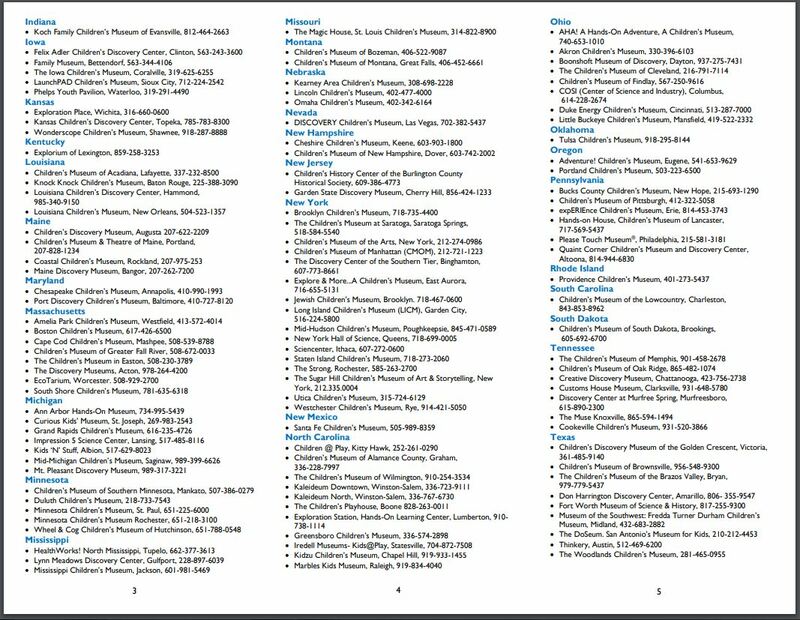 We are lucky to be located along one of the Great Lakes. This exhibit will help you learn all about the wonderful world of water.